Como Passamos o Dia em “Reading and Writing Workshop”? 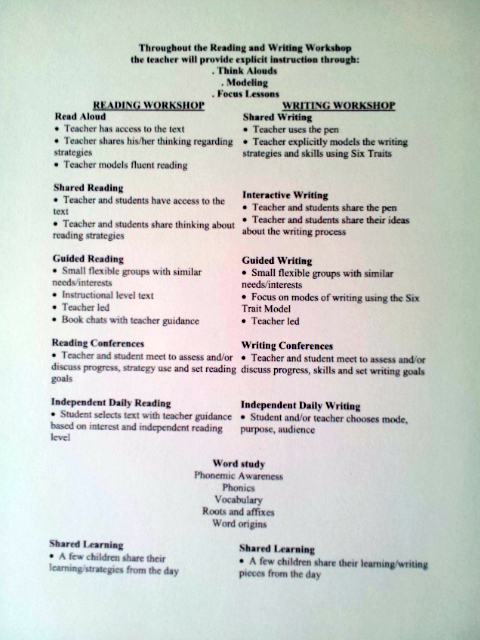 Implemeting Reading and Writing workshop is not an easy task because there are many things to do in very little time. Therefore, every minute counts. Since I am departamentalized, managing time is one of the main priorities in order to still fit math, science, and social studies during the day too. Even though I teach the same content for both of my groups, I have two different schedules to fit the students’ needs. As you can see, there is not a recipe for scheduling, but definitely I believe that my morning one flows better than my afternoon because each component build in each other. On top of fitting everything, I teach a state tested grade level. It means that my 4th graders will have a 40-question multiple choice test in the end of the school year. As usual in a public school setting, I have kiddos who are academically low so my school provides all teachers interventionists who also work with those students. For this reason, I had to change my afternoon schedule in the middle of the school year in order to give better support to all pupils. Independent Writing (30-40 min per day). O que é “Reading Workshop”? Como se parece uma sala de aula implementando “Reading and Writing Workshop”? O que é “Balanced Literacy”? Por que será que beneficia todo tipo de aluno? Anterior Como se Parece uma Sala de Aula Implementando “Reading and Writing Workshop”?